The beach is at the bottom of Gokova Bay. It is 3 km of pure sand. The wind is thermal and onshore. Water is flat and choppy, shallow. There are no painfull creatures in our waters. This is a perfect spot especially for beginners to learn and practice. For advanced riders, the holy nature of the bay and scenery will doubles the joy of the sessions. One side of the bay is reserved for advanced riders. It is hard to believe but there is no water sports, bananas, burgers, parapents around. This spot is reserved for kiteboarders. 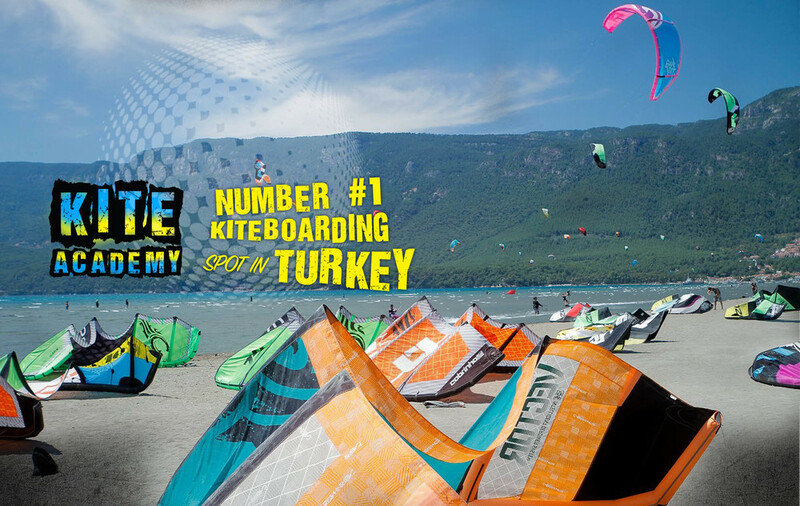 KITE ACADEMY Su Sporları Akademisi LTD.